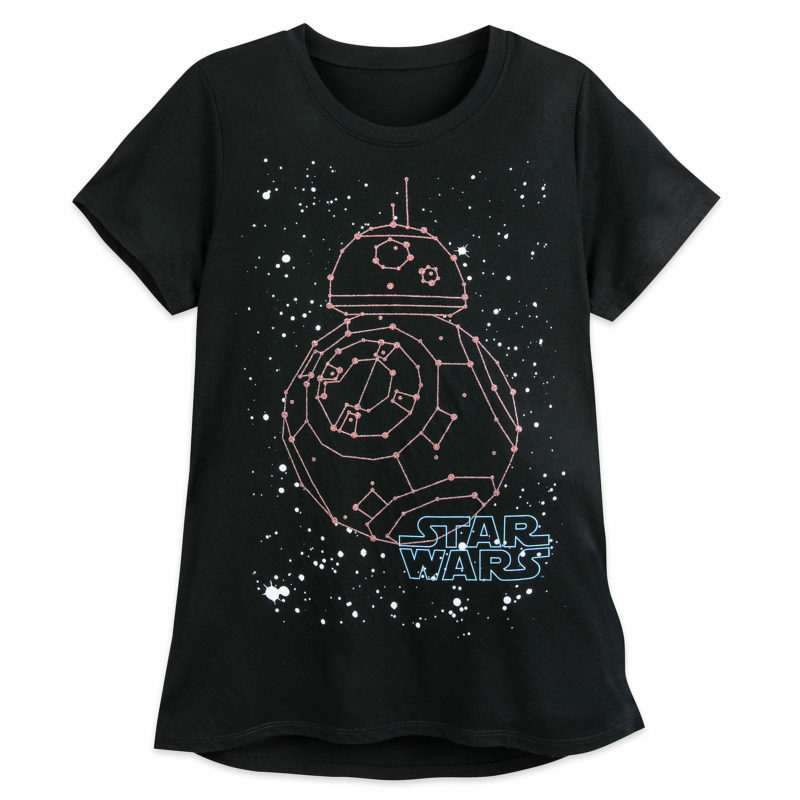 This new women’s Star Wars BB-8 Constellation t-shirt is now available at Shop Disney. 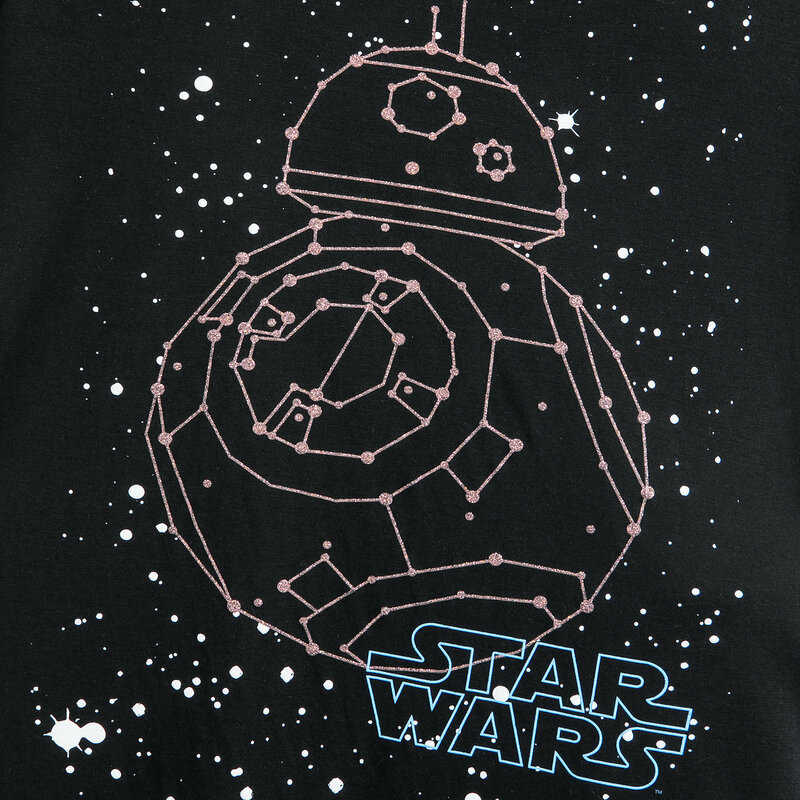 Made from 65% polyester / 35% rayon, the black t-shirt features a glitter print of BB-8, in a starry constellation design. A galaxy of glitter forms the loyal droid BB-8 on this soft jersey tee. The paint splatter details add a stylishly starry element to this fashionable top. 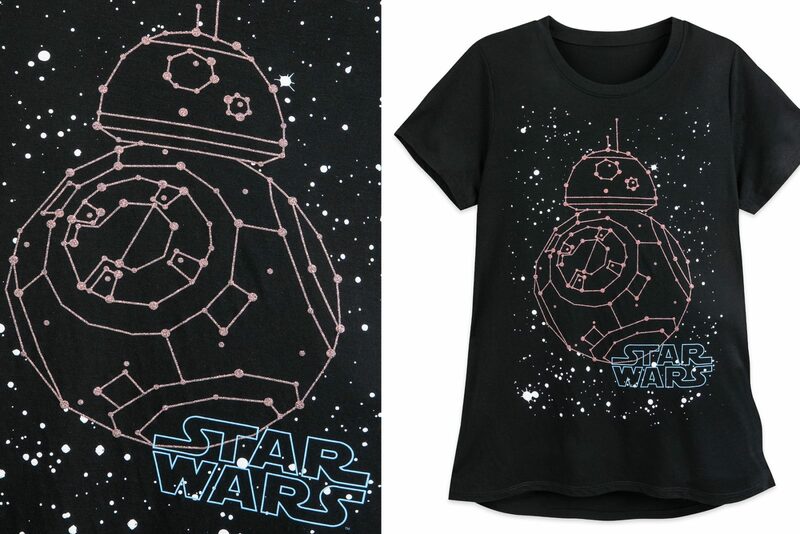 Available in sizes XS to XXL, the t-shirt is priced at US$24.95 each – Shop Disney can ship internationally, which is great!